Help us meet our spring fundraising goal. An economically diverse community is gentrification’s ideal outcome, but what if the benefits for the poor aren’t what we think they are? Few neighborhoods are more associated with gentrification than Brooklyn’s Williamsburg. The subject of a thousand trend pieces, its transformation has been carefully charted from its days as a depressed working-class enclave for longshoremen, truck drivers and the Mafia to its current state as a neighborhood for up-and-coming financiers and the other winners of America’s post-industrial economy. Grand Street serves as a de facto dividing line between the new Williamsburg of luxury condos and expensive, preciously named shops and what’s left of the old neighborhood. Go north of Grand and you find stroller-pushing professionals, recent college grads packed five to an apartment and plenty of options for craft beer. Head south and find yourself looking at the tan brick, low-rise edifices of Williamsburg Houses, the city’s third oldest public housing development, sharing sidewalks with the rearguard of Puerto Rican, African-American and Orthodox Jewish families that discovered the neighborhood long before its industrial skyline began appearing on messenger bags. 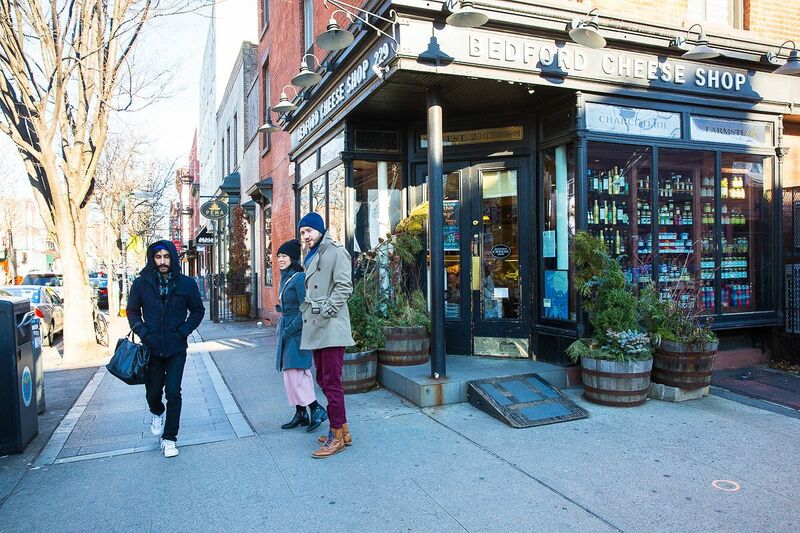 Grand Street is home to both diverse businesses and new, trendy bars and restaurants. Maybe that’s why it gentrified so quickly. Over the past 15 years, the median income gap between tenants of the public housing complex and their neighbors to the north has skyrocketed from a difference of thousands of dollars to tens of thousands. As of 2013, every census tract in Brooklyn north of the Williamsburg Houses enjoys a median income higher than that of the city as a whole. Today, Govine and her fellow New York City Housing Authority tenants find themselves in a situation radically unlike that of most other low-income people in America. Populations of such different economic realities rarely live in such close proximity, at least in the contemporary United States where study after study has shown communities increasingly divided by income and paralyzed by a related loss of economic mobility. Theoretically, the communities that live in the Williamsburg Houses and their counterparts throughout the city’s public housing complexes should be an example of the opposite. Protected from the threat of displacement, they are ideally situated to tap the booming economy that has taken hold a few blocks away. It’s easy to write off such critiques as the usual transitional pains that afflict long-term residents in any changing environment. But to do so would ignore recent research that indicates how much we still have to learn about the relationship between where we live and the opportunities we have. In the last year, two studies of gentrification’s impact on New York public housing residents, including one commissioned by the city, found no major difference in employment levels among public housing residents living in poor, gentrifying or affluent neighborhoods. The Williamsburg Resident Association works with NYCHA management to give residents a voice in the operation of their developments. 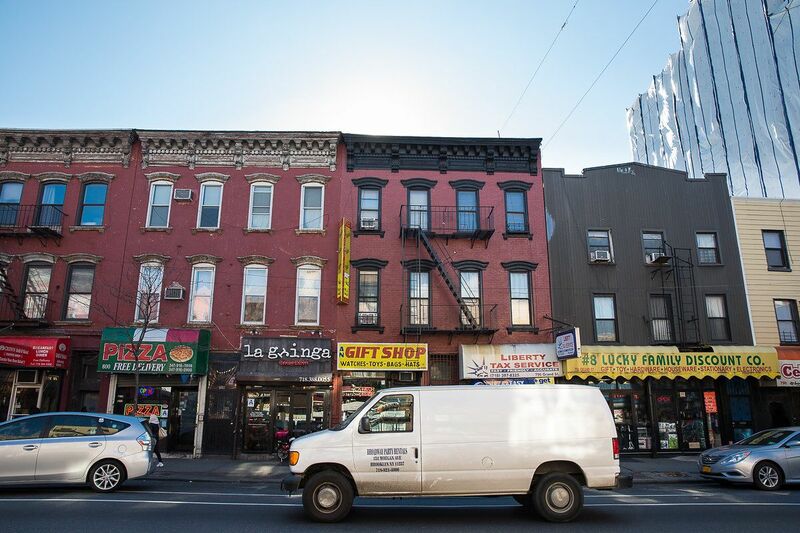 Whether a tenant lived in Williamsburg, where new businesses are opening daily, or a more economically isolated area, residents faced similar challenges finding work. “Employment difficulties were a common theme across neighborhoods,” says Samuel Dastrup, who led the analysis for New York Mayor Bill de Blasio’s poverty-fighting agency, the Center for Economic Opportunity. While CEO found other benefits for NYCHA tenants living in gentrifying or affluent neighborhoods, a second study, done by researchers at City University of New York, identified no strong correlation between gentrification and gains for neighborhood public housing residents. “We found [NYCHA tenants] living in gentrifying neighborhoods weren’t much different than [those] living in non-gentrifying neighborhoods,” says researcher Christopher Herrmann, an assistant professor and a former crime analyst with the New York Police Department. 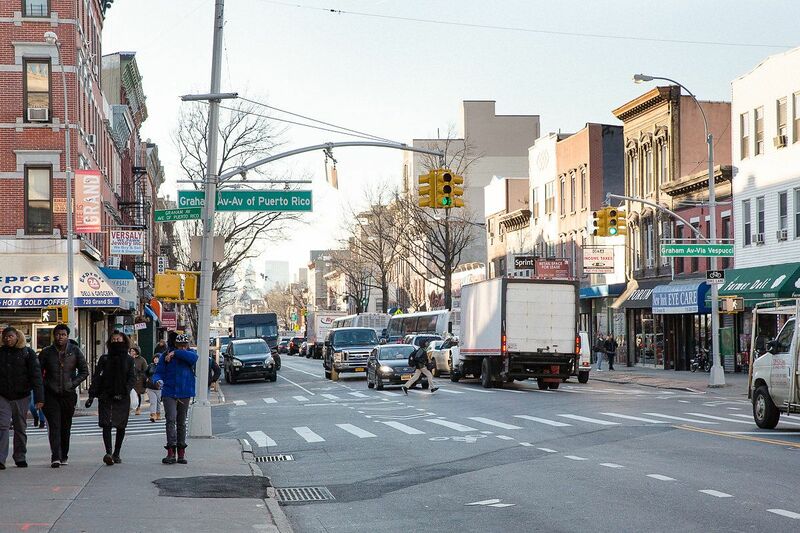 Many new businesses catering to gentrifiers have moved into the Williamsburg neighborhood. These findings come as New York public housing residents prepare for a historic change. The tide of new development that until now has stopped at NYCHA property lines will, over the next several years, roll onto select public housing land under the aegis of a 10-year plan known as “NextGeneration NYCHA.” NextGen, as the de Blasio administration refers to it, intends to raise much-needed funding for NYCHA by leasing “underutilized” tracts within public housing complexes to private developers for mixed-income housing. In addition to raising capital, NYCHA officials are betting that the new development will create new economic opportunities for NYCHA residents. But if Herrmann and McLamb are correct in their belief that more job opportunities surrounding public housing doesn’t easily translate to more jobs for public housing residents, NYCHA could easily fall flat in meeting this secondary goal. For decades, federal housing policies have favored moving low-income people to wealthier areas where policymakers saw more opportunities for better schools and employment, often in suburbia. Lavonne McLamb and her fellow Williamsburg Houses tenants didn’t move to opportunity. Instead, it moved to them. Between 2003 and 2012, as Williamsburg became more affluent, the number of businesses in the neighborhood grew by nearly 32 percent, compared to a 21 percent gain borough-wide, according to a 2014 report from New York State Comptroller Thomas DiNapoli. Despite the robust job growth, the number of NYCHA families where at least one member has a job is seven percentage points higher in the struggling South Bronx’s Daniel Webster Homes, than in the Williamsburg Houses, according to Herrmann’s research. 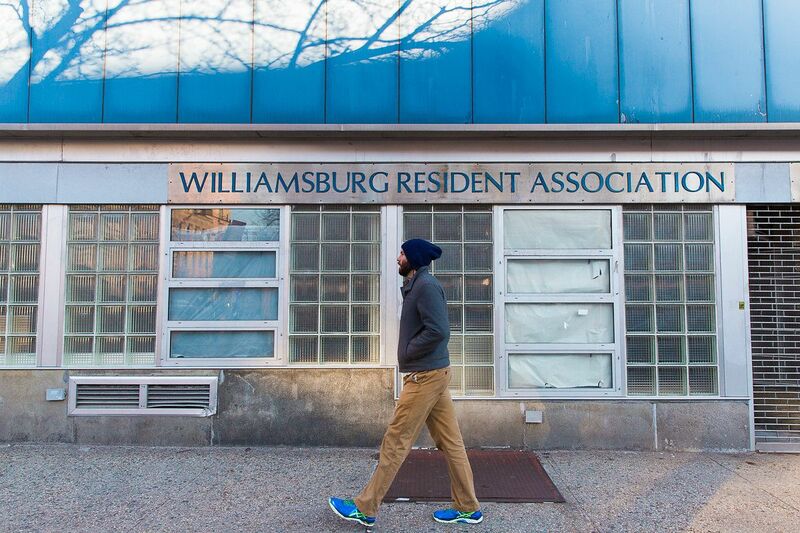 Meanwhile, the average total gross income for families in the Williamsburg Houses is 2.5 percent lower than that of NYCHA residents systemwide, translating to a difference of about $600 annually. Compared to average gross incomes for public housing in Brooklyn, residents of Williamsburg Houses earned $400 less. In addition to the Williamsburg Houses, Herrmann and co-author Fritz Umbach examined two NYCHA properties in affluent Manhattan neighborhoods: the Amsterdam Houses on the Upper West Side and the Jacob Riis Houses on the Lower East Side. They found that employment levels were usually in line with, if not lower than, NYCHA or borough-wide numbers. When it came to income, only residents of the Amsterdam Houses saw earnings above the NYCHA average but even there, just a few blocks from Central Park and the busy shops of Columbus Circle, employment levels were no higher than NYCHA averages. Taken as a whole, the data suggest that, for public housing residents, living alongside affluence does not consistently lead to better economic outcomes, the researchers say. The average total gross income for families in the Williamsburg Houses is 2.5 percent lower than that of NYCHA residents systemwide. The CEO-commissioned study — “The Effects of Neighborhood Change on New York City Housing Authority Residents,” produced by Abt Associates and the NYU Furman Center for Real Estate and Urban Policy — came to a far more optimistic conclusion than Umbach and Herrmann. The study reports that McLamb and her neighbors, in living alongside wealth, represent two-thirds of NYCHA residents. Those NYCHA residents, the study found, are zoned for better-performing schools, earn higher incomes and experience better educational outcomes, with public school students living in public housing in wealthier neighborhoods scoring higher on standardized tests than peers living in poorer sections of the city. Dastrup and his team found “statistically significant” income differences between residents living in affluent, gentrifying and high-poverty neighborhoods. Using a larger data set and different metrics than Herrmann, the researchers found that the median annual household earnings were $29,699 for public housing tenants in high-income neighborhoods as opposed to residents in “persistently low-income neighborhoods,” which have median family incomes of $25,149, a difference of 18 percent. In gentrifying areas, earnings were an average of $28,165, or $3,000 higher than in low-income areas, a 12 percent improvement. Employment numbers, on the other hand, show only slight benefits for residents of higher-income areas, with a less than 2 percent difference in employment levels between residents in persistently low-income neighborhoods, and in gentrifying and high-income neighborhoods. These differences in employment levels were not “remarkable,” says Dastrup. The CUNY researchers say that by focusing on income rather than differences in employment levels, CEO could be coming to a rosier conclusion than is warranted. Still, in spite of the differing metrics, sample size and findings, the CEO-commissioned team and the two CUNY authors share one overarching conclusion: More must be done to connect NYCHA residents to opportunity. 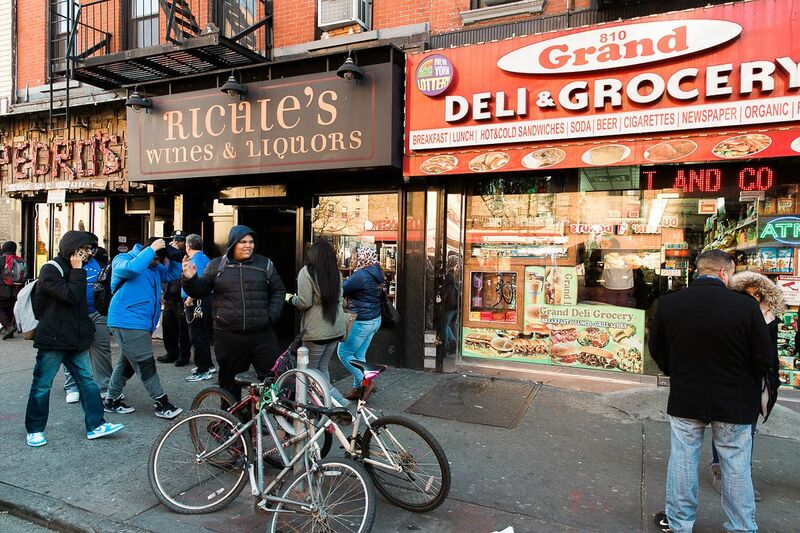 Many “mom-and-pop” establishments in Williamsburg are struggling to stay open. 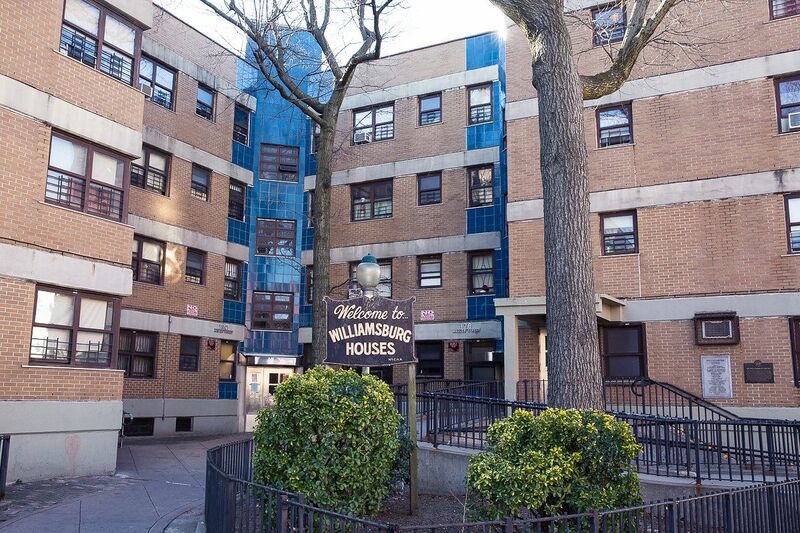 Since the housing authority’s NextGeneration plan was announced in May, NYCHA tenants have by and large voiced opposition, citing fears that the new development will lead to the privatization and dissolution of the public housing system. De Blasio hopes the plan will net between $400 million and $800 million by 2025. NYCHA needs the help desperately. The housing authority initially suffered divestment from the local, state and federal levels under Republican executives in the late 1990s and early 2000s, policies that were continued under Bloomberg and subsequent Democratic administrations in Albany and Washington, D.C. “This is, at this moment, the worst financial crisis in the history of NYCHA,” de Blasio told reporters at an event rolling out NextGeneration. The housing authority is currently looking at $17 billion in unmet capital needs and no federal funding assistance is expected in the foreseeable future. On the website promoting the initiative, the city promises that NextGeneration will allow NYCHA developments to “become more enmeshed in the fabric of the community and the city” and “reconnect NYCHA buildings to their communities.” But if the recent research from Herrmann and CEO is any indicator, bridging that gap will demand more than closing the distance between public housing residents and their neighbors. Historically, NYCHA offered many tenants social mobility through employment in the system, which at its peak, offered 15,000 jobs. Today, the number is 11,000 and 2,465 are held by residents. These unionized positions often don’t require a college degree, start at $26,000, offer benefits and provide training for those who want to reach higher-ranking, civil service certification and better paid jobs. But with the staggering budget crisis, new employment opportunities are unlikely to come from within NYCHA itself. The nation’s largest housing authority cannot afford to maintain its apartments, let alone hire more union workers. De Blasio’s NextGeneration plan calls for a reduction to the workforce. New development continues to transform the blocks surrounding the Williamsburg Houses. Without expanding the NYCHA workforce, the administration seems to be looking for solutions through the same mechanism that will provide the funding and the housing that the public sector can no longer provide. On standard NYCHA construction or development projects funded by HUD, the agency is required to provide job training and employment opportunities with agency contractors, but because the NextGeneration construction will not rely on federal dollars, the HUD rules will not apply. The NextGeneration plan could provide de Blasio and NYCHA with more leverage to require private developers to hire within the communities where they are building. 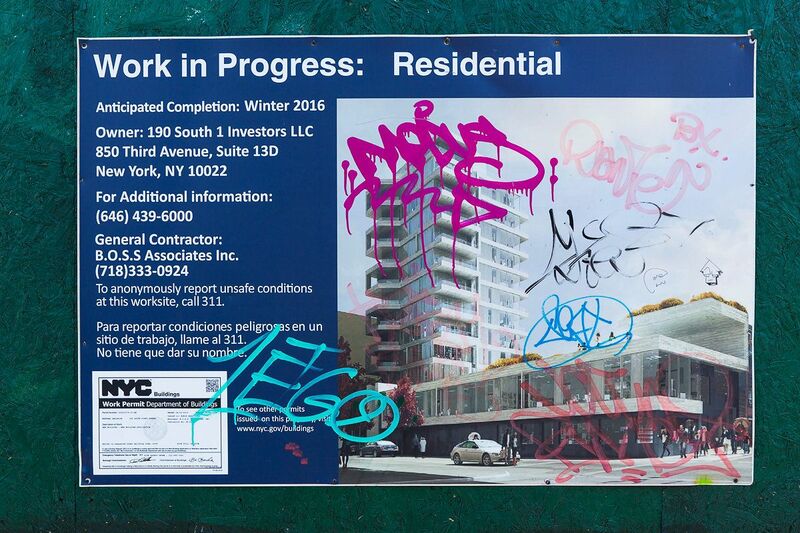 After all, the development is a politically fraught process that will occur on land that NYCHA will still own. Given the amount of controversy surrounding the plan, it is likely that activists will make strong demands for community benefits. In some areas, they are already planning to do so even beyond the current NextGeneration projects in the pipeline. “We’ve been looking at this for years: What is the demand that’s going to be created when these developers get a shovel in the ground?” says Bishop Mitchell G. Taylor, founder and CEO of Urban Upbound, a community organization in the gentrifying Queens neighborhood that includes the Queensbridge Houses, the largest public housing complex in the U.S. One of Taylor’s recent major focuses is developing worker cooperatives, like On Point Security, which will eventually be fully owned and operated by public housing residents. The newly established Urban Upbound offshoot was recently hired to provide security at Astoria Cove, a massive mixed-income housing development slated to transform the neighborhood surrounding Queensbridge. Residents walk across Graham Avenue, a historic shopping street. While the city itself hasn’t yet gone public with any specific benefits plan, NYCHA has said it will continue expanding existing programs, such as the Center for Economic Opportunity’s Jobs-Plus, a place-based program for NYCHA residents that offers employment services and financial incentives that help “make work pay.” There is also a short-term work program subsidized by CEO, which last year reimbursed employers in the Work Progress Program for the wages paid to 200 NYCHA tenants who are trying to build their resumes. Another place-based program for residents run by NYCHA’s Office of Resident Economic Empowerment and Sustainability connects tenants to jobs, many of them in construction. Every year, the program connects more than 2,000 residents to jobs, according to NYCHA. If the NextGeneration plan meets its goals, that number will double to 4,000 annually by 2025. But 4,000 jobs is a drop in the bucket for an agency that houses 400,000 people. Significant gains will depend on whether the de Blasio administration, NYCHA and partners like Urban Upbound succeed at convincing private employers to provide work to public housing tenants. Can Cities Ever Reach Absolute Zero (Waste)? Our features are made possible with generous support from The Ford Foundation. Jake Blumgart is a contributing writer at Next City. His work also appears regularly in Al Jazeera America, the Philadelphia Inquirer and Pacific Standard. Paul Gargagliano is a Philadelphia-based freelance photographer. Brooklyn born and bred, he studied photography at Oberlin College. His work ranges from photojournalism with an urban bent, to wedding and event photography with Hazelphoto.com. Get our best reporting, job of the day, and smartest reader. Sign up for our daily newsletter.